We offer rock programs in several locations around the eastern United States. 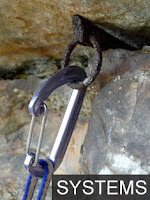 Daily climbing instruction is available in Western Massachusetts, Connecticut, the Shawangunks, and the Adirondacks. Custom programs are available in most other locations around New England, North Carolina, Red Rocks, NV, and in the North Cascades, WA. We offer ice programs in many of the most popular winter destinations in the eastern United States. 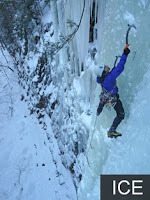 Daily ice climbing instruction is available in the Catskills and Adirondacks in NY, Smuggler's Notch and Lake Willoughby in Vermont, and at most areas in northern New Hampshire. Custom programs in other locations are possible with advance notice. 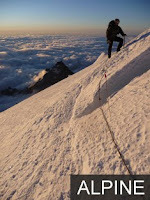 Alpine climbing is the amalgamation of all other climbing disciplines. On any given alpine day you might travel across snow, climb dry rock, mixed climb, or even climb ice. It requires solid fitness and a willingness to suffer in a mountain environment. 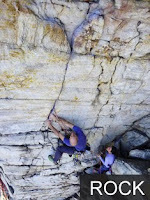 We offer alpine climbing around the Northeast, in the Adirondacks, Vermont, and northern New Hampshire. We also offer custom trips to other areas like the North Cascades. Many climbers have strong movement skills, but lack knowledge of the technical aspects of climbing. Without an understanding of technical skills, and solid decision-making abilities it's easy to get in over one's head at the crag or in the mountains. We offer single pitch and multi-pitch rescue, aid climbing instruction, and AMGA SPI programs for those interested in furthering their technical abilities.